Moving to South Kensington, SW7 | Call Us Today! Moving house can be a difficult time at any point in your life especially if you’re relocating into an area that you don’t know. That is why our removals company in South Kensington, SW7 has an excellent team of local movers who can give you the low-down wherever you go. Everything from the quickest routes and the best place to shop can be covered by our friendly team who will always help you to feel at home in the SW7 area. As well as being happy to help, our professional workers are also skilled at what they do and can manage any flat, house or business relocation in South Kensington quickly and efficiently. So if you need a firm that is ready and willing to help, give 020 8746 4402 a call. Our team will always be pleased to take your call and will never leave you waiting on hold. If you need help ASAP then our firm is sure to have a removals van or man and van team who can help as quickly as the next day. With many years of experience, we know that sometimes moving plans have to be changed at the last-minute and that is why we have an extensive team of movers in Moving Service who are on standby ready to help. The SW7 postcode area is one of the most exclusive places to live in central London and neighbours the equally affluent areas of Knightsbridge, Chelsea and Kensington. Just 2.4 miles southwest of Charing Cross, it is part of the London Borough of Kensington and Chelsea and is home to the Victoria and Albert museum, the National History Museum and the Science Museum to name but a few. It is served by the Circle, District and Piccadilly tube lines and is in zone 1 of London’s transport plans. The nearest tube station is South Kensington, with Gloucester Road, Earls Court and High Street Kensington also within easy reach. The nearest over-ground stations are at West Brompton and Victoria. As well as its plethora of museums, the area is also home to the Royal Albert Hall and is a popular spot for exclusive bars, restaurants and designer shops. Choose Our Service For All Of Your Moving Within South Kensington! Our removals services in South Kensington, SW7 cover all sorts of scenarios and can be tailored to meet anything from small flat or large business relocation. Our van hire is ideal for anyone that doesn’t need help with lifting and loading and for anyone who is happy to manage their move alone. All of our removal vans are modern and reliable and are a cost-effective way of completing an independent house removal. If you do need some help with your move then our man with a van packages are also on hand for giving you that little bit of extra support. 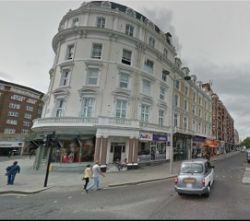 With small and large moving vans, our man with a van team can manage any size removals in South Kensington with ease. For anyone that is managing a large relocation, our moving trucks and professional movers are also sure to give you a comprehensive service. 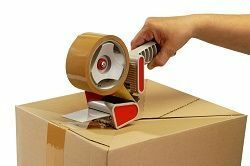 Trained to lift everything from heavy furniture and equipment to multiple boxes and books, our removals team can be a real source of support. Arriving on time and with all of the resources required, our Moving Service team can make sure that every part of your day goes 100% to plan! So if you want to make sure that your move is smooth and stress-free, dial 020 8746 4402 right now! Excellent moving company to deal with. Moving Service in South Kensington treated my prized possessions as if they were their very own. Will use them again!